Marijuana, as well as any other plant, cannot grow without light. There are some countries in which cannabis grows best. It is because of sunlight. 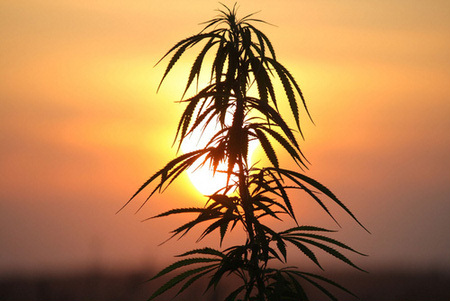 Thanks to huge amount of sun and long growing season marijuana in those countries can grow in a tall, healthy plant. But not all countries have the same conditions for marijuana growing. Do you know where the largest, resin-coated buds are growing? They grow at the equator – the only place, where the sun is closest to the earth. You should know that besides water, nutrients, and air temperature, light is the most important need of marijuana plant. Some growers neglect this fact and get poor results. But the problem of the lack of light can be solved. You can create simulated conditions for you plants. Especially it is important in winter, when days are so short. You must remember just one thing – the more light, the better. Incandescent light bulb can be used for cannabis growing, but it emits far red and infra-red light because of which a plant starts stretching toward the light. It results in a tall plant weakly topples over. There is another type of incandescent cannabis plant spot light which produces more red and blue light. But it also has a disadvantage – this lamp produces heat and cannot be placed near a marijuana plant. As a result, the plant is stretching again. When growing marijuana it is important to encourage foliage growth, and the red bands of light do the same for the stem. There is wide selection of fluorescent lights. They vary in size (from one to eight feet) so you can buy the one fits your growing area. There are standard and the wide spectrum fluorescent lights. You can use both at a time. But you should know that it is not enough to use only the wide spectrum fluorescent lights. These lamps should be used only as supplementary source of light. The standard fluorescent light produces more red and blue bands and this very important for you cannabis plant. The wide spectrum fluorescent light produce infra-red light and we have already said about its effect on the stem of a cannabis plant. If you want to grow big amount of cannabis plants the next information might be important. The regular fluorescent lights become more effective if used along with the grow lights called cool whites. These lamps produce as much blue light and it is what the cannabis plants use in foliage growth.